Australia’s Government has announced details of its carbon pricing scheme and a big winner in the renewable energy sector will be large scale solar power. Australia’s 500 largest carbon emission polluters, each responsible for 25,000 tonnes or more of emissions annually, will be required to pay an initial $23 a tonne from July 1 next year. The Government says approximately 60 per cent of Australia’s pollution will be covered by the carbon price and it will include pollution from electricity generation, stationary energy, some transport, waste, industrial processes and fugitive emissions. The mechanism will be a fixed-price mechanism for three years, after which time, Australia will move to an emissions trading scheme, where the amount of pollution our economy can create will be capped and carbon pricing will be dictated by market forces. 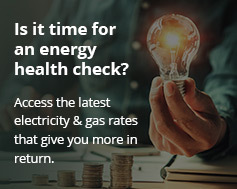 Some of costs to be incurred by businesses affected by the carbon tax will be passed through to households, such as in the form of continuing electricity price rises. Over half of the money paid by big polluters will provide assistance to households on the form of tax cuts and payment increases. Some affected industries will also receive compensation to assist them become more energy efficient and to make the switch to cleaner energy sources. A portion of the revenue will be used to build Australia’s new clean energy future. $10 billion will be invested renewable energy as a result of the scheme. ” In fact, we’re expecting that this will drive 100 billion dollars’ worth of investment in renewable energy to 2050, and as a result we will be able to reduce our net national emissions to 80 per cent below their year 2000 levels by 2050,” said Minister for Climate Change and Energy Efficiency Greg Combet. The Government will seek to negotiate the closure of up to 2000 megawatts of emissions intensive coal-fired electricity generating capacity; which it says will make room for investment in new cleaner electricity generation capacity. The announcement will provide greater certainty to clean technology investors with three years of fixed prices and a price floor for an additional three years. “Big Solar is a big winner in today’s Clean Energy Future announcement” said John Grimes, Chief Executive of the Australian Solar Energy Society (AuSES). $40 million has also been earmarked for the Remote Indigenous Power Program, set up to help remote Indigenous communities invest in solar power. AuSES says it is important that similar incentives are provided for other rural and remote communities, which have lacked support since the axing of the Rural Remote Power Generation Program. An independent authority will also be set up to manage $3.2 billion of renewable energy funding. $1.5 billion in committed funding and another $1.7 billion in uncommitted funds will be administered by the new body, the Australian Renewable Energy Agency (ARENA); an initiative spearheads by the Green’s deputy leader, Senator Christine Milne. Dr. ZhengRong Shi, founder and Chief Executive Officer of Suntech Power, one of the world’s largest manufacturers of solar panels, applauded the news of ARENA, saying “I congratulate the Greens for creating a systemic, whole-of-government approach to renewable energy at arm’s length from government”. Next: Carbon Price Signals Early End To Hazelwood Power Station?